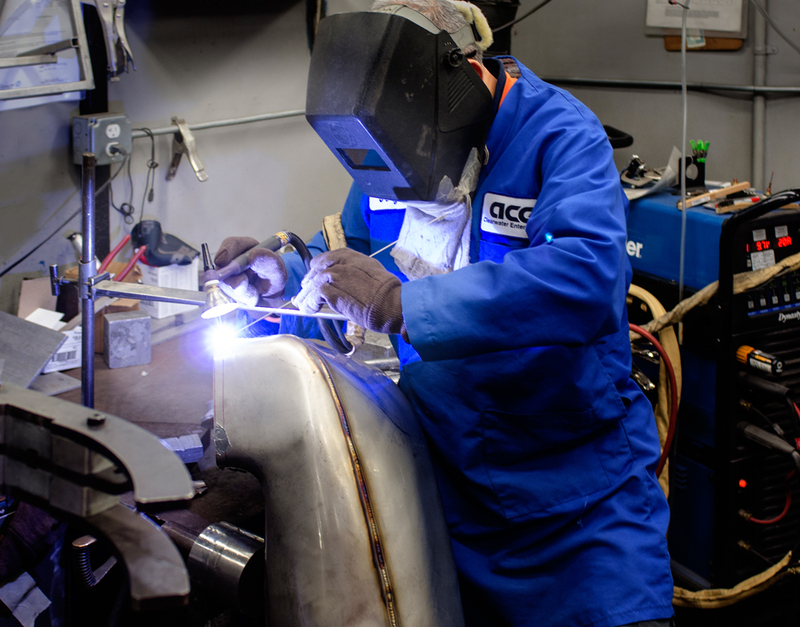 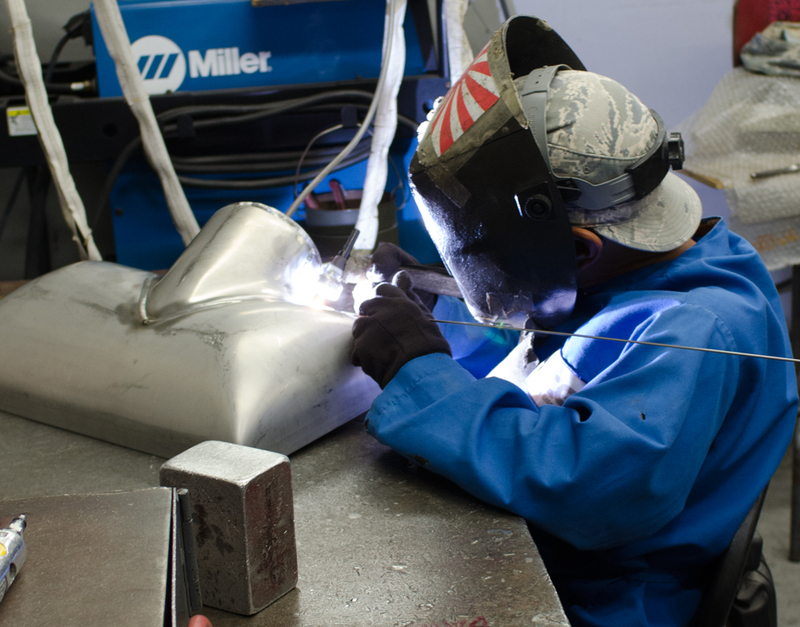 Welding is one of ACE’s core competencies. 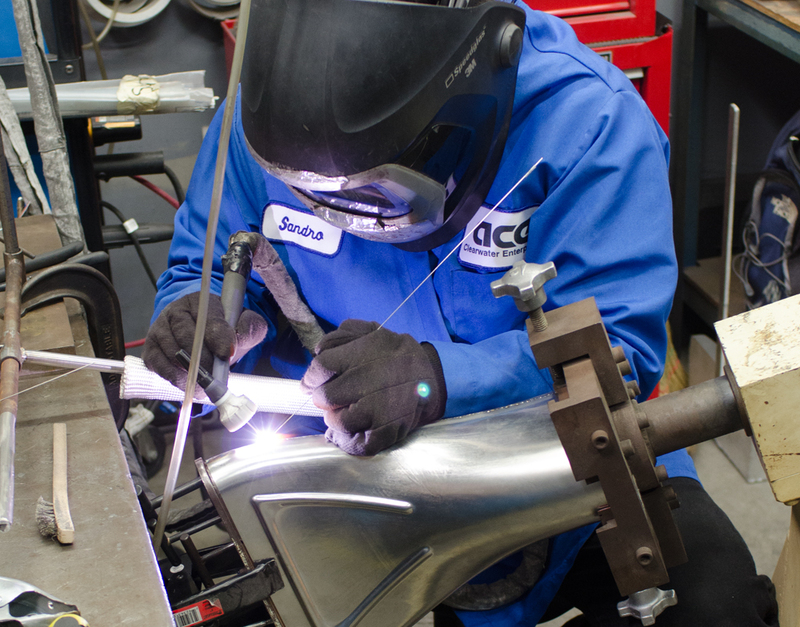 ACE started as a weld shop in 1949, and has been servicing the aerospace industry ever since. 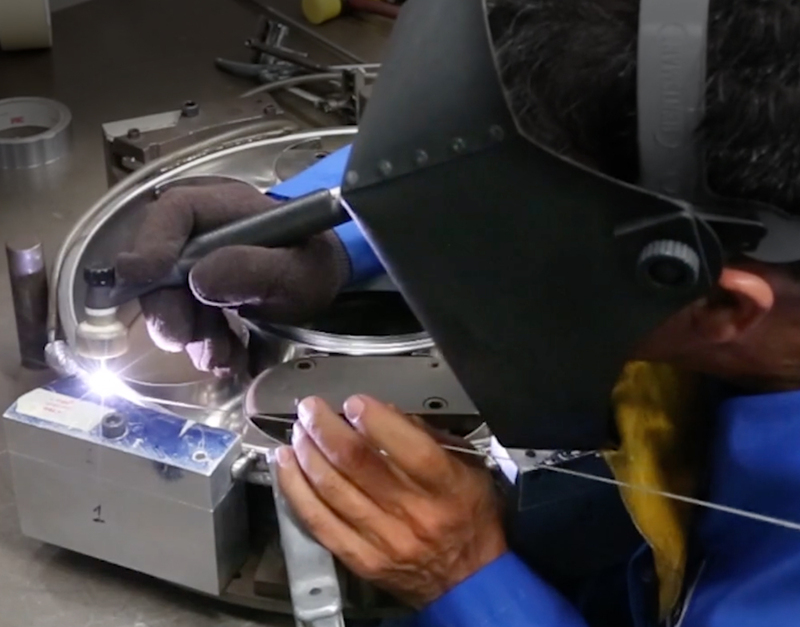 Our team enjoys working on familiar and brand-new projects, with a different assignment every day. 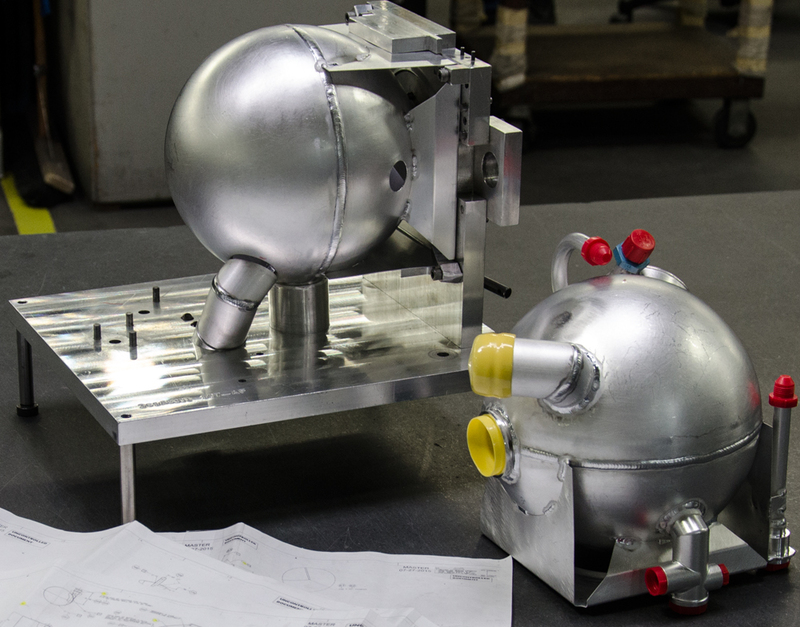 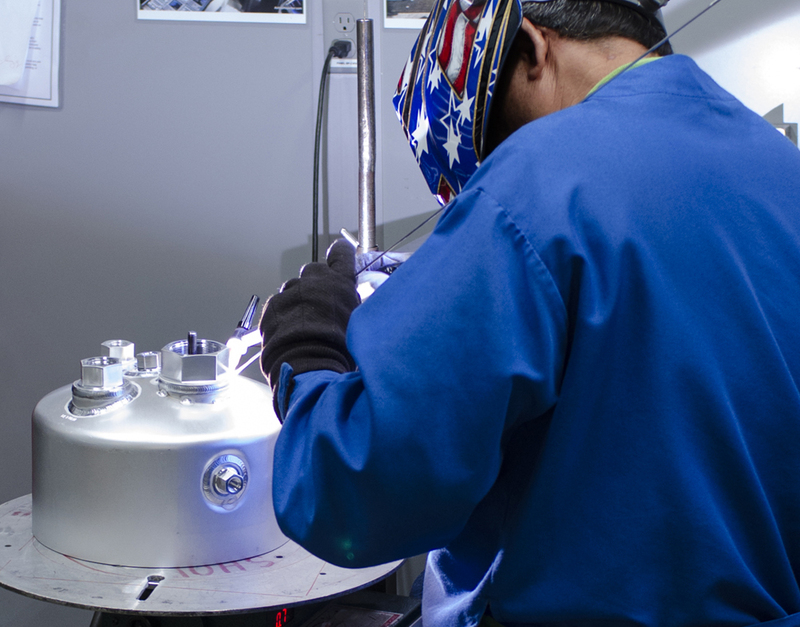 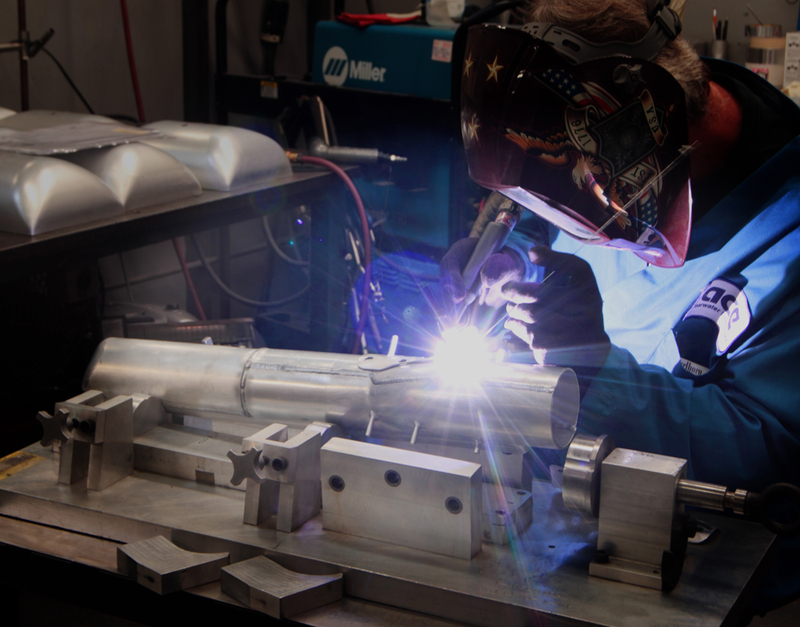 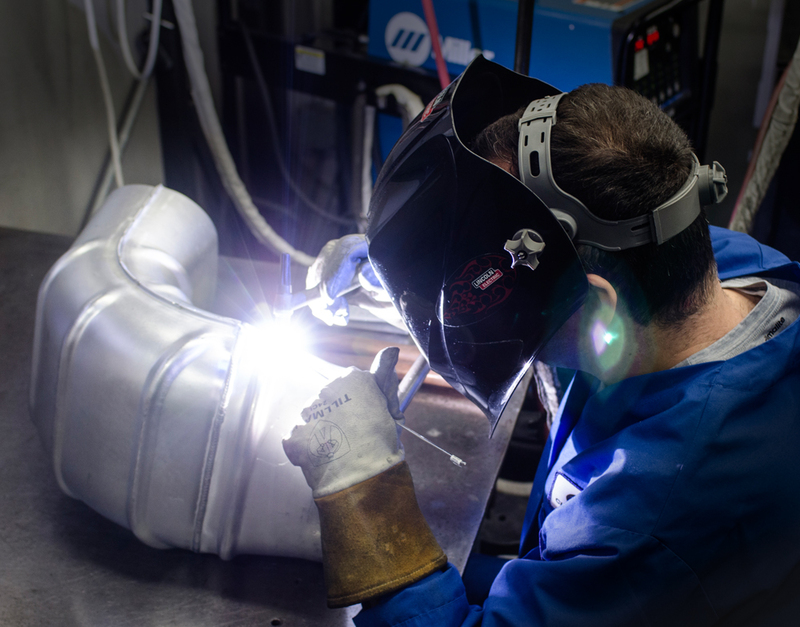 Our team take on projects from light, fine alloy welds to seriously hot die fine-tuning. 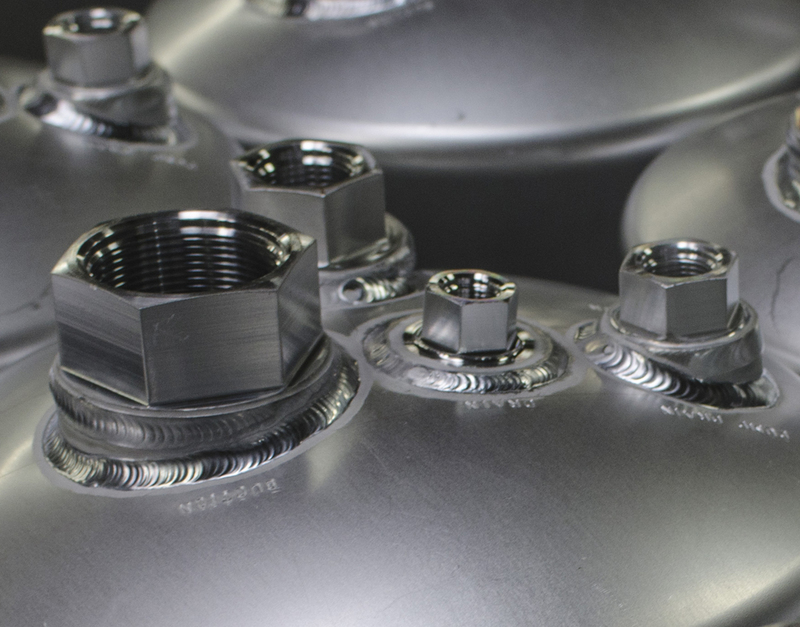 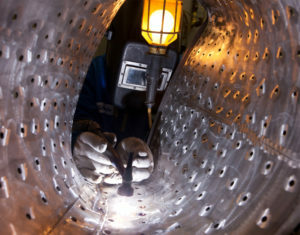 Our welders perform delicate welds seen here on these oil tanks – to extreme, robust welds on the right. 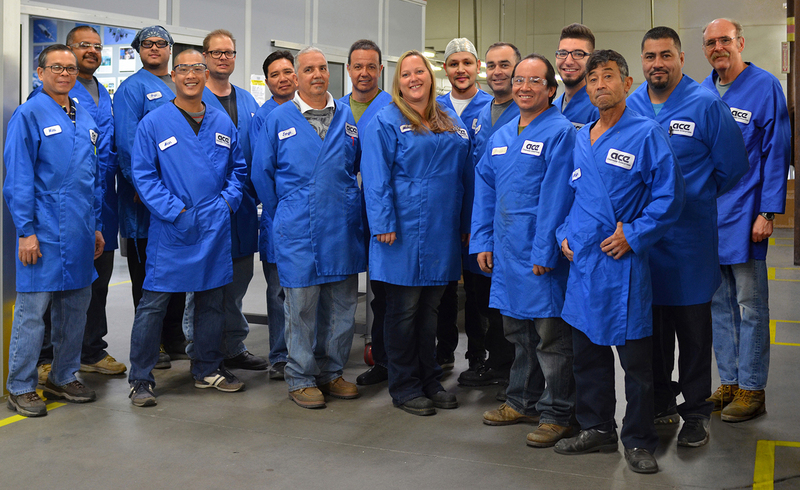 We couldn't be prouder of our team of true professionals. 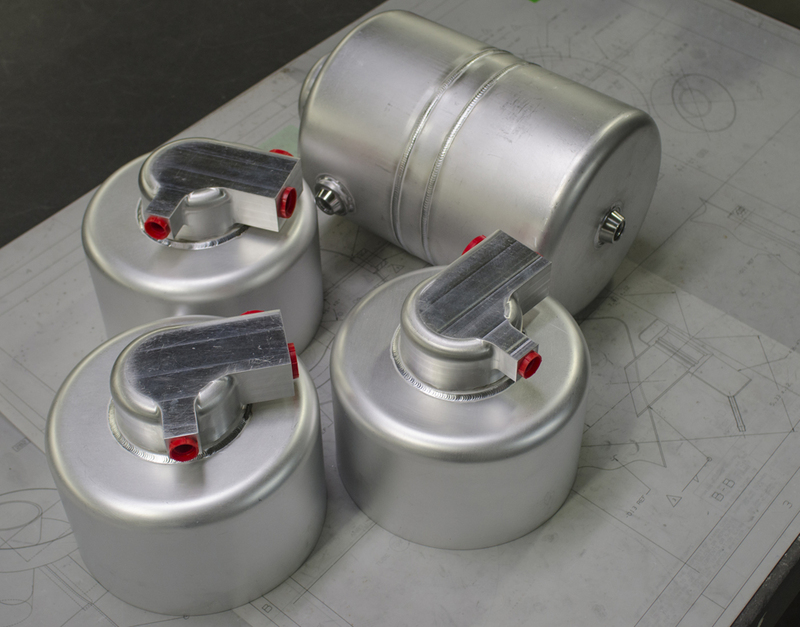 ..to hold elements, because these tanks are assembled from three sections. 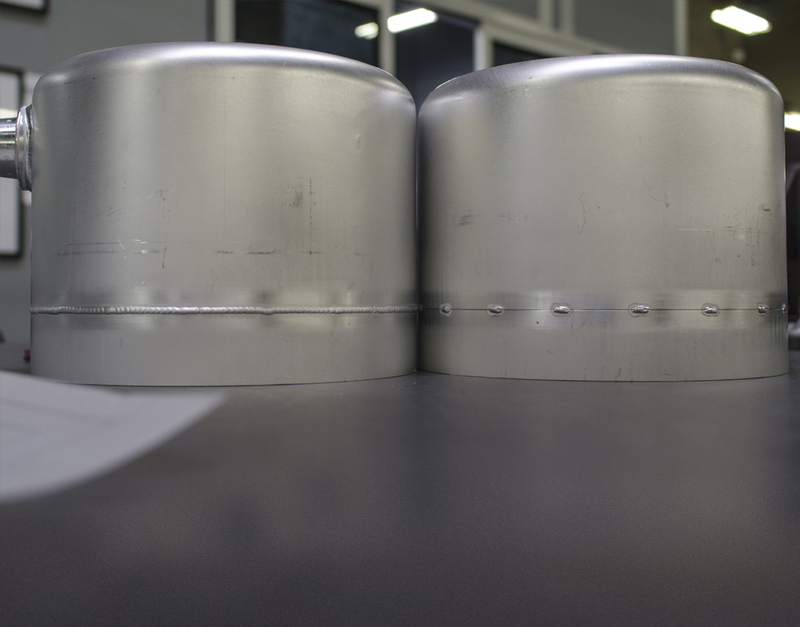 The middle section of these tanks is an expansion band which adds length and volume to the tanks. 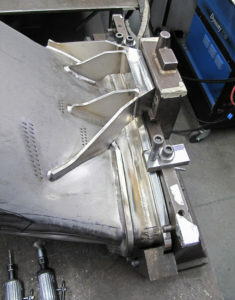 Tacking (right) holds the material in place. 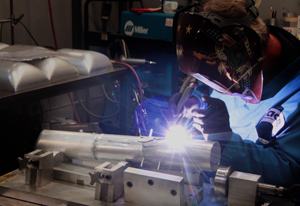 A preliminary cold pass weld (left) maintains alignment more securely for the final, full-penetration welds. 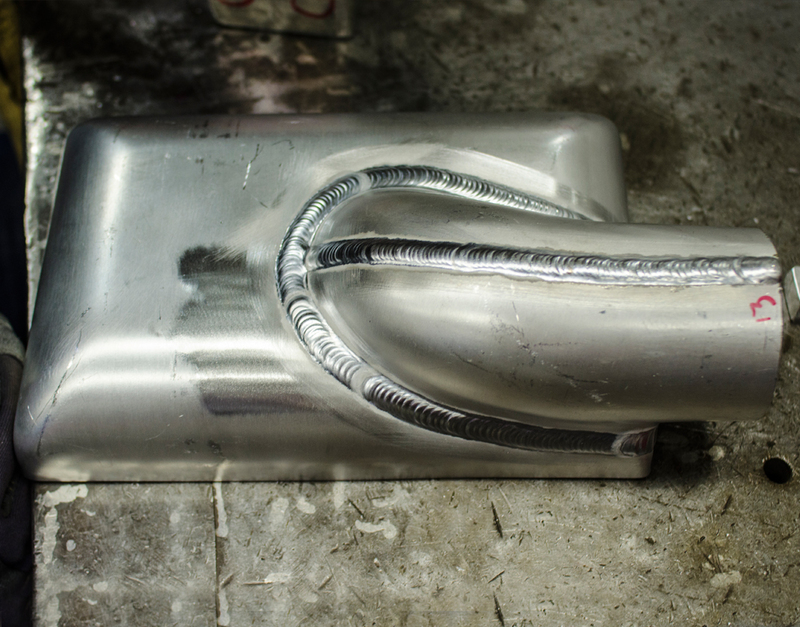 The full penetration weld is added. 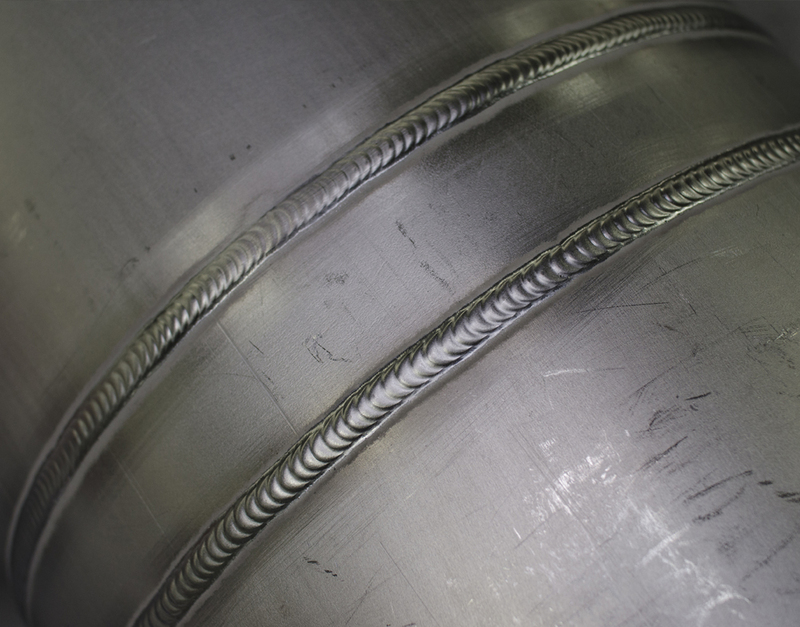 Rods used for the welds. 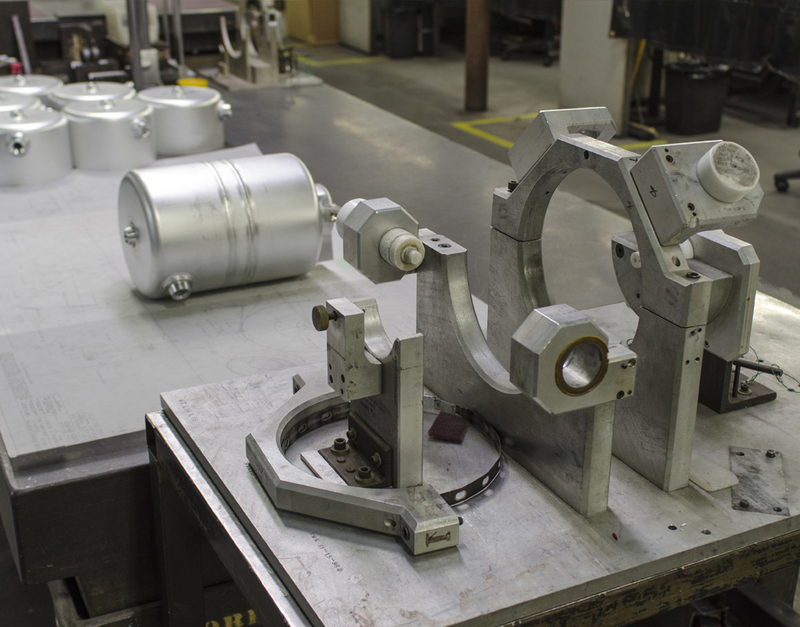 The final section is being held precisely in place by the custom tooling for the last joint. 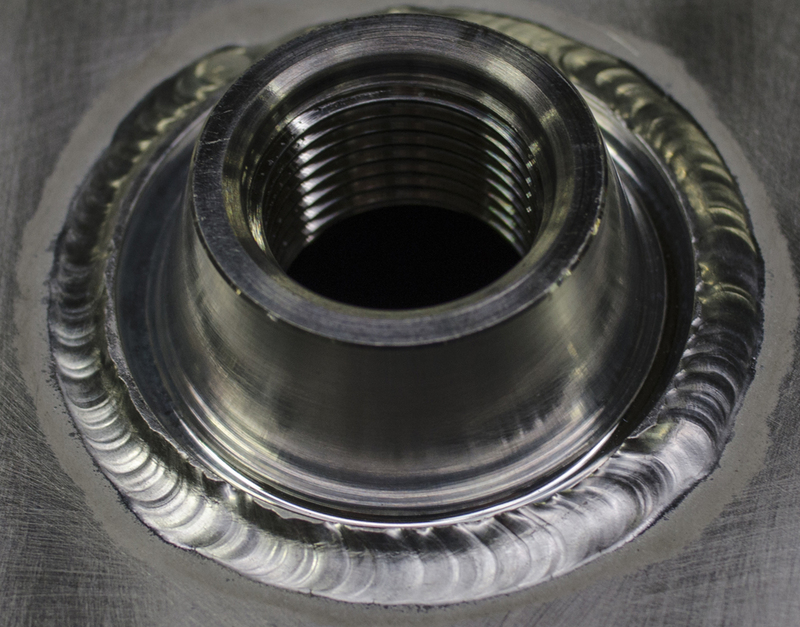 The black band reveals the seam, and provides an even template for well-spaced tacking. 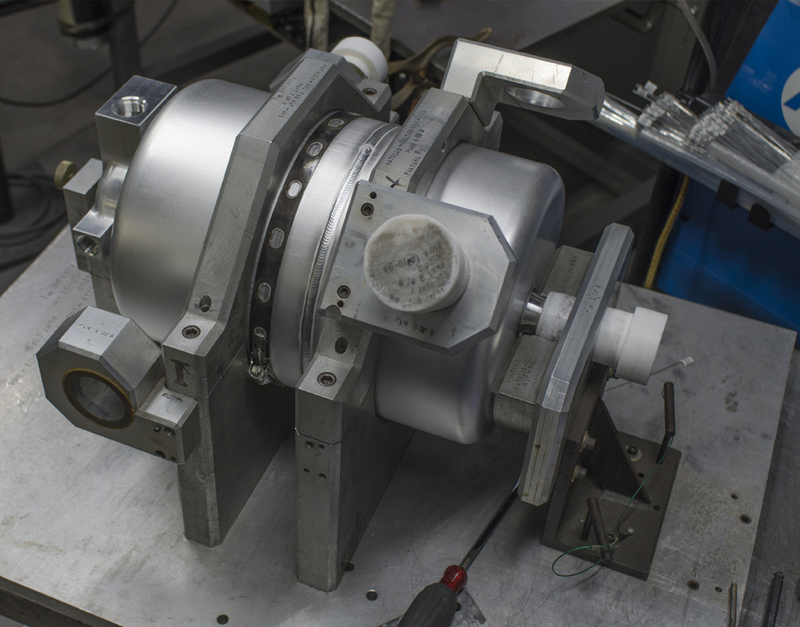 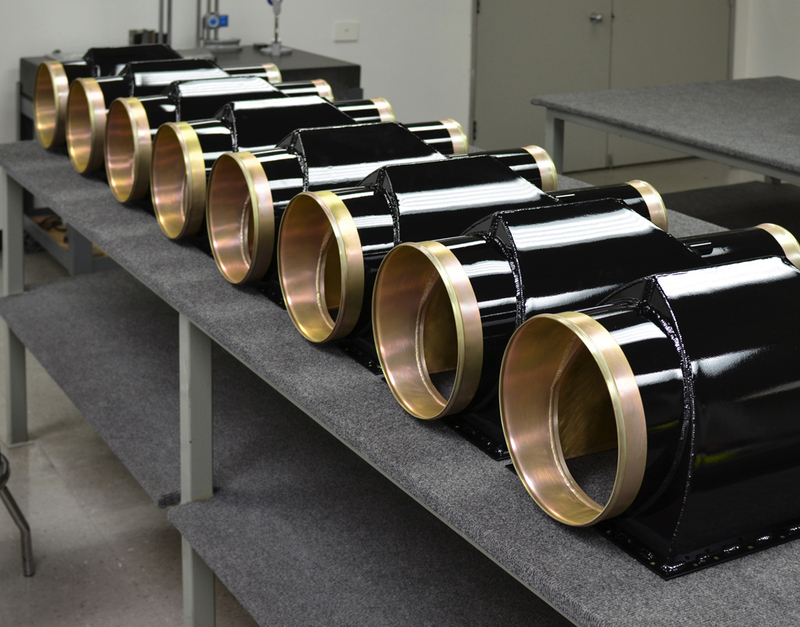 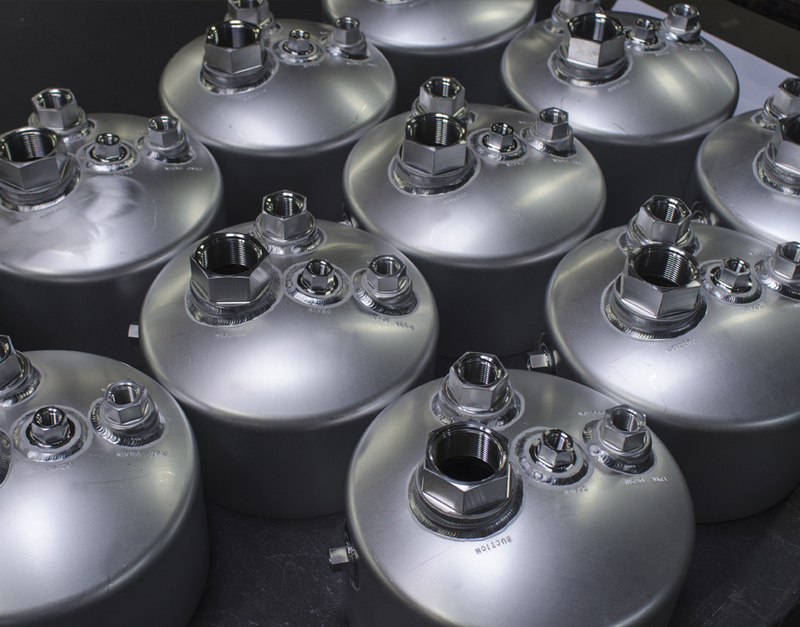 ACE produces runs of many multiples, complex assemblies which maintain exact measurements to meet aerospace requirements. 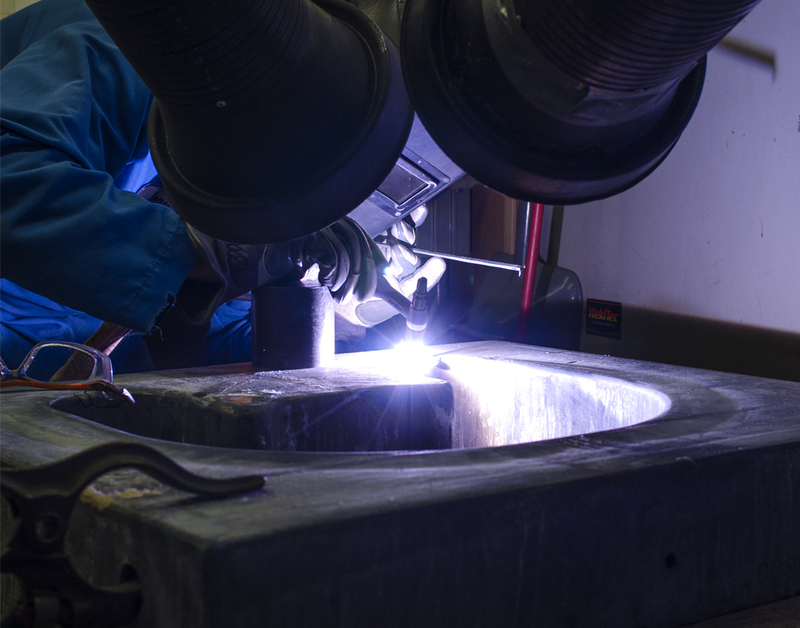 Special care was given to the full-penetration welds. 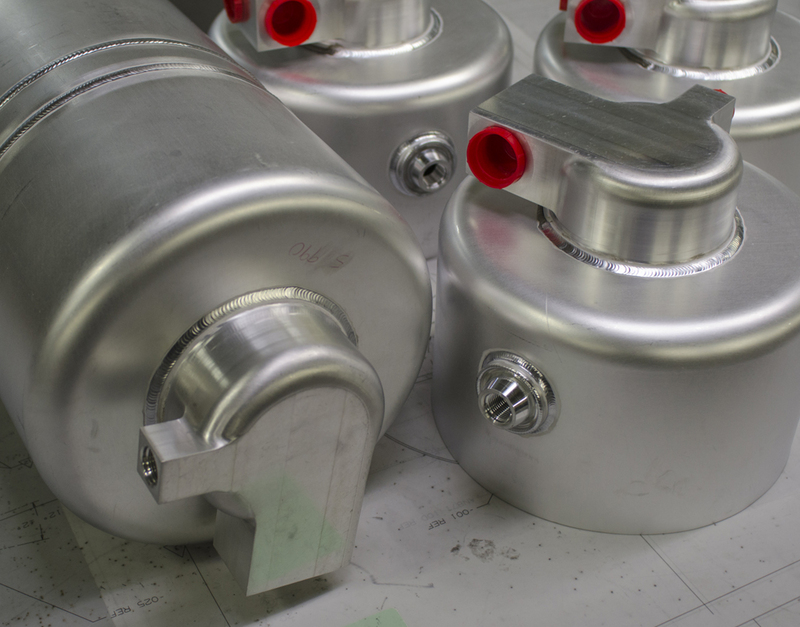 Another tank project starts, this one with multiple connectors. 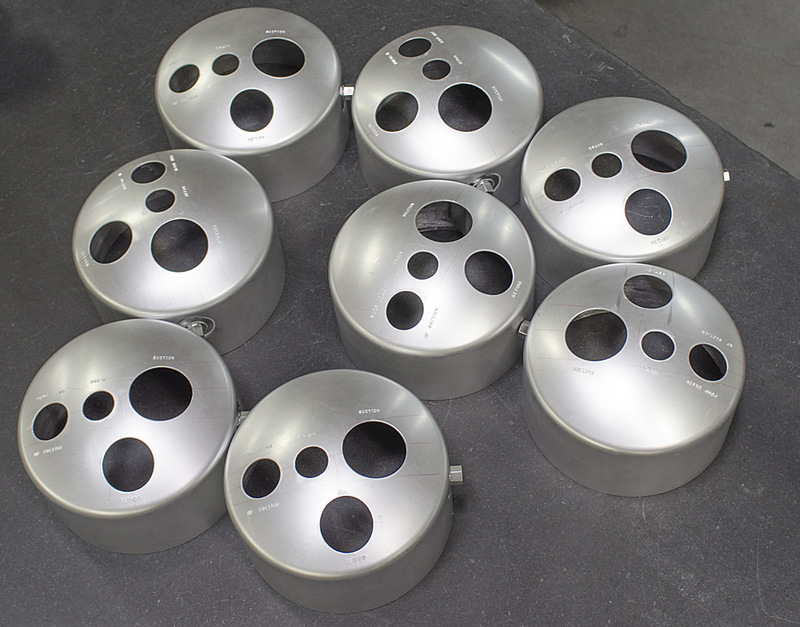 These holes are precision drilled to accept varying-size threaded couplings. 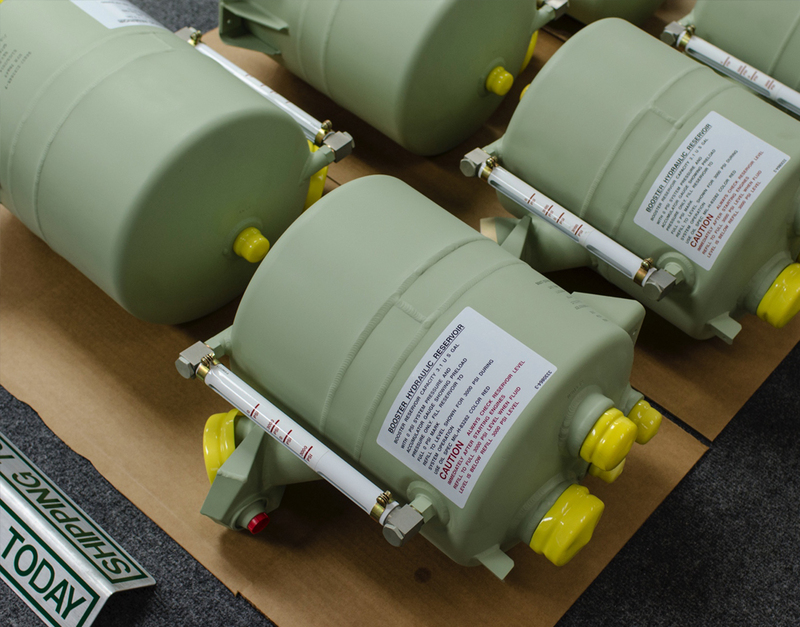 Here are the final tanks... ready to ship. 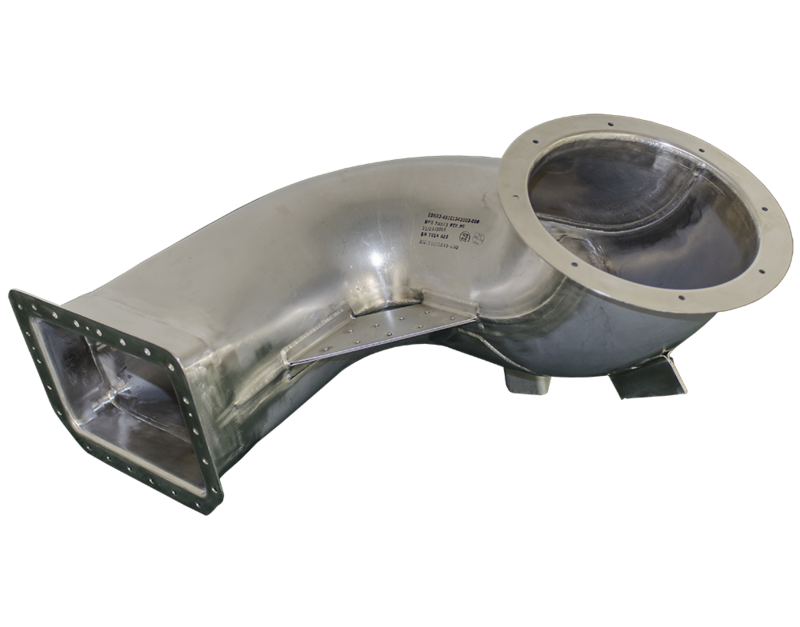 We call this intake "the doghouse"... the have extra heavy welds to withstand extreme pressures. 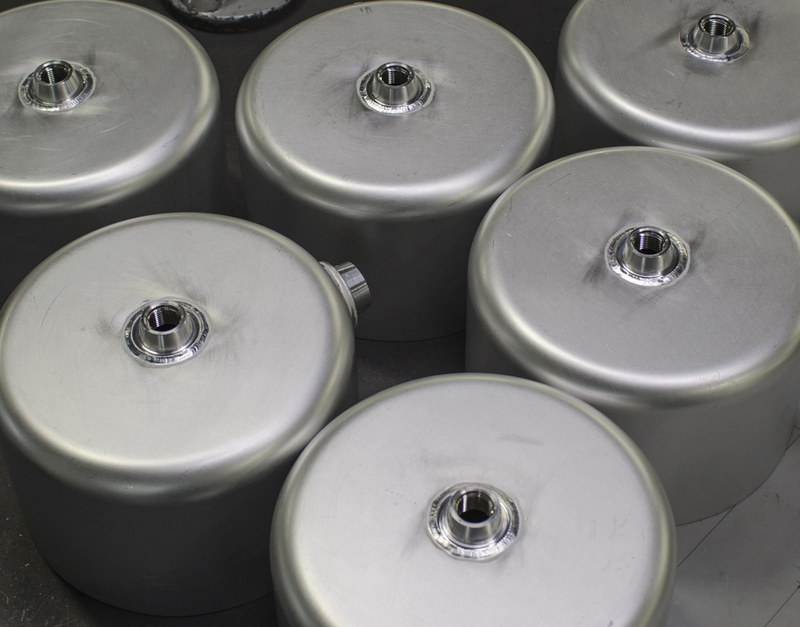 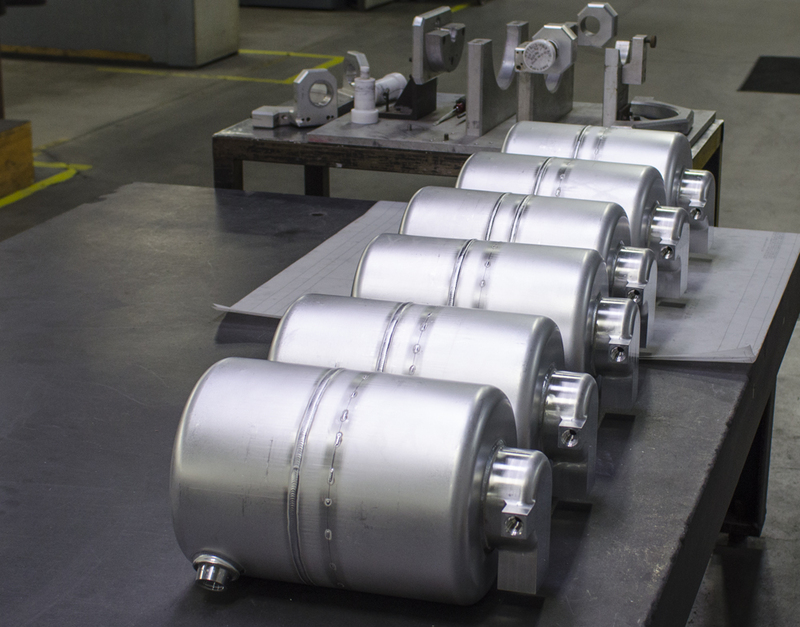 Once competed, they are given a protective finish to prevent corrosion. 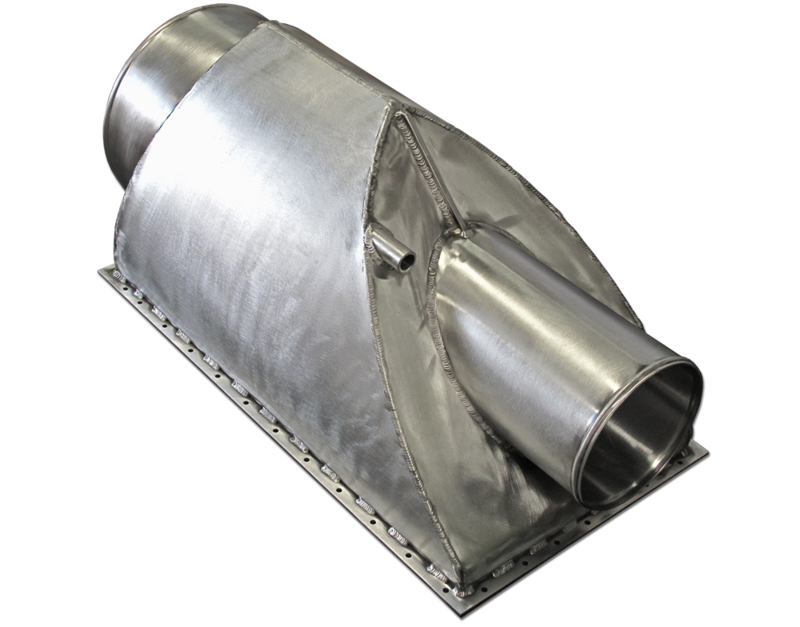 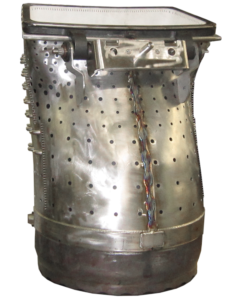 Reinforcements give this heavy-duty duct extra rigidity for a high force and pressure environment. 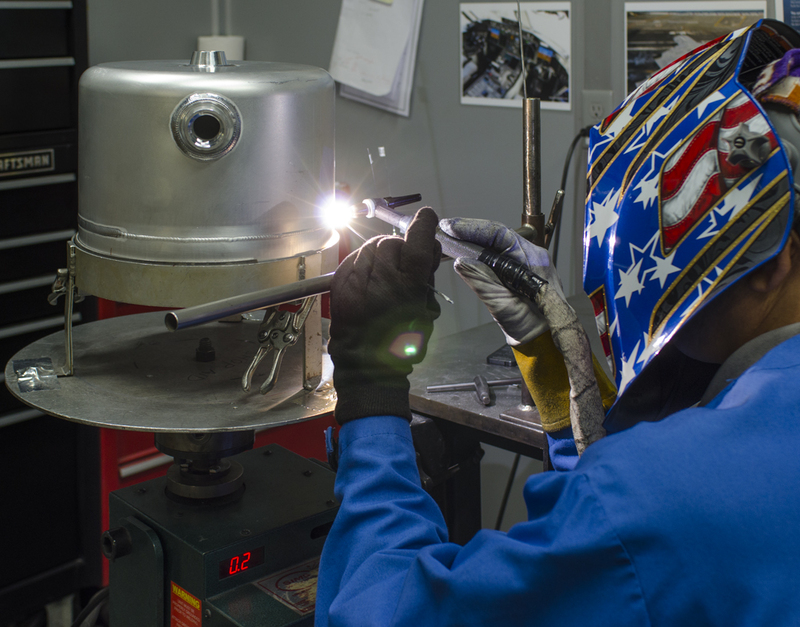 This link is opens a document all about ACE Welding. 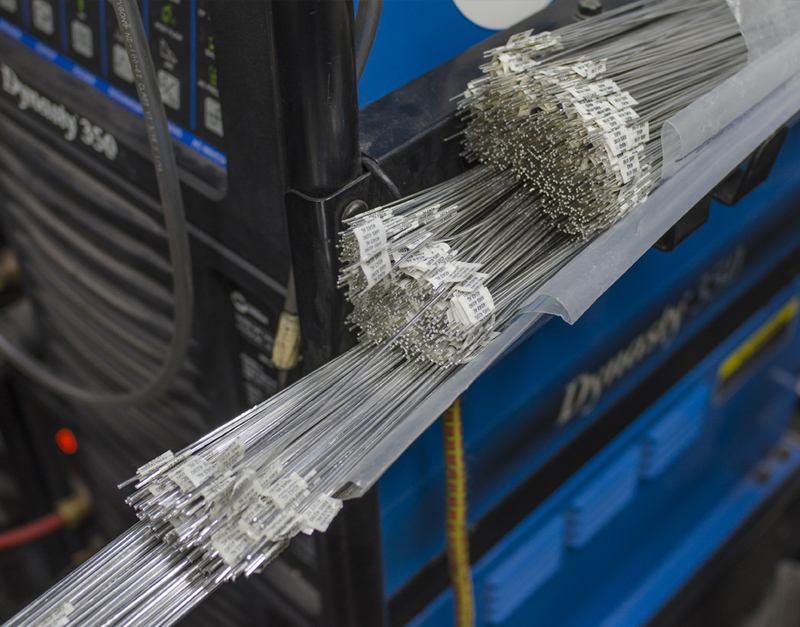 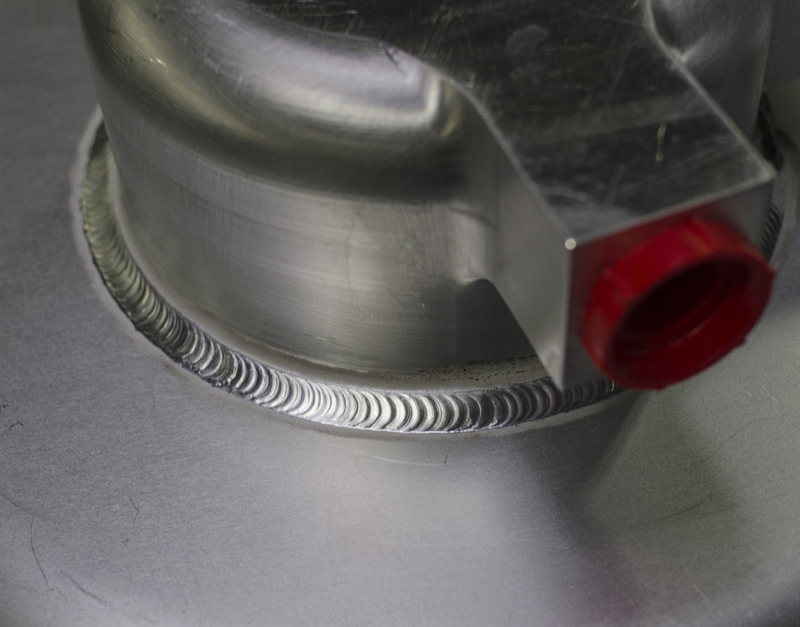 Our GE Power Ducts and Impingement Sleeves require serious welds to hold-up under incredible stresses. 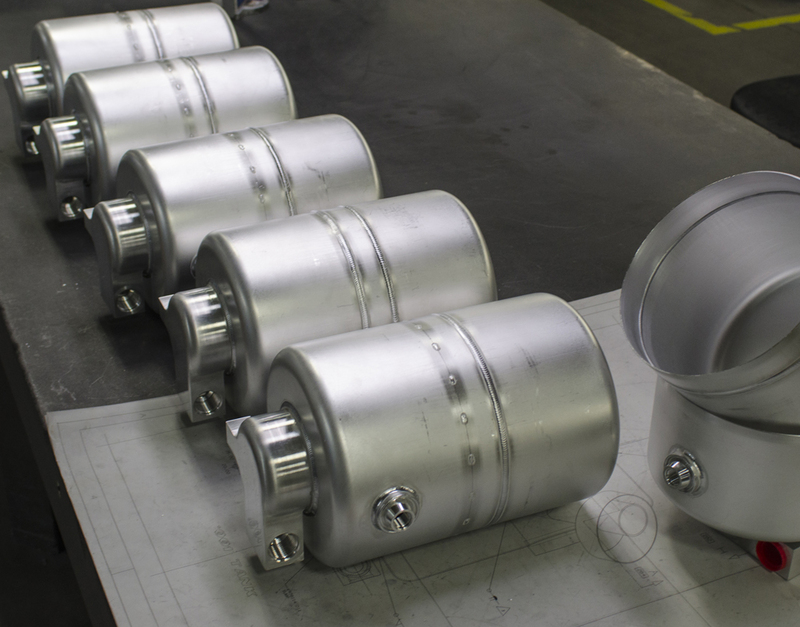 Explosive, super-heated compressed air is forced though these ducts to spin the fan blades on city-sized power generators. 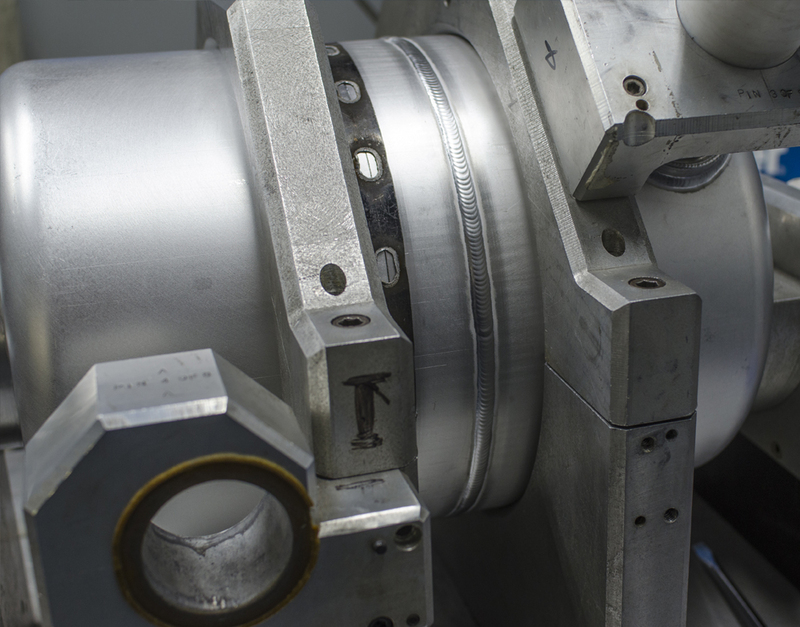 Impingement sleeves circulate air to cool these massive gas turbine systems.